Rain, rain, go away. Come again some other day! What does a Type-A personality do on a rainy weekend in December when she needs a break from the multiple crafty projects she’s been working on? Why, she goes to the local home improvement store with her favorite (ok, only) husband, picks out some SERIOUSLY off the wall paint colors for her inside-the-house weight room. The bench, rack and all the other fitness stuff had previously been housed in my now defunct photo studio because it was spacious and also because it was there. Okay and because there were actual offspring living in 1 or 2 of the 3 bedrooms that aren’t ours during this time. All four offspring have grown and gone and done their thing, so one bedroom (formerly the child formerly known as “Puffy,” who is now grown and referred to as my DSD; Darling Step-Daughter’s) is my zen room complete with artwork with an Oriental flair, rope swing, pillows on the floor and hanging plants. Baby Boy’s room is in the process of guest room conversion. My middle son’s room is this weekend’s object of my attention, as it is being converted into an aesthetically pleasing girl’s home gym. Muwahahahahah! The week after I broke my ankle, the Hubs thought it would be a good time to move all the fitness stuff inside to Middle Son’s former abode because not having to heat and cool the studio would save us some dollars (we are always budget conscious, right? ), plus I wouldn’t have to deal with rain, sleet, snow or excessive heat getting six small dogs and myself out to the studio to workout. DSD and her boyfriend helped the Hubs move everything to where it needed to be. I had a rose/pinkish colored bathroom once, but it’s blue, now, and there isn’t one “girly” room in the house, so I figured why not, right? The boys’ room, formerly known as screaming blue. The baseball motif ceiling fan and light. What will replace the fan. Yes, it’s fluorescent. Whoops…that was where about a pint of Winter Sunrise landed. Trim and new lighting needed. Initially I thought we’d paint the chair rail, which is not pictured yet, white, but I noticed that the room is taking on a LOT of pink. 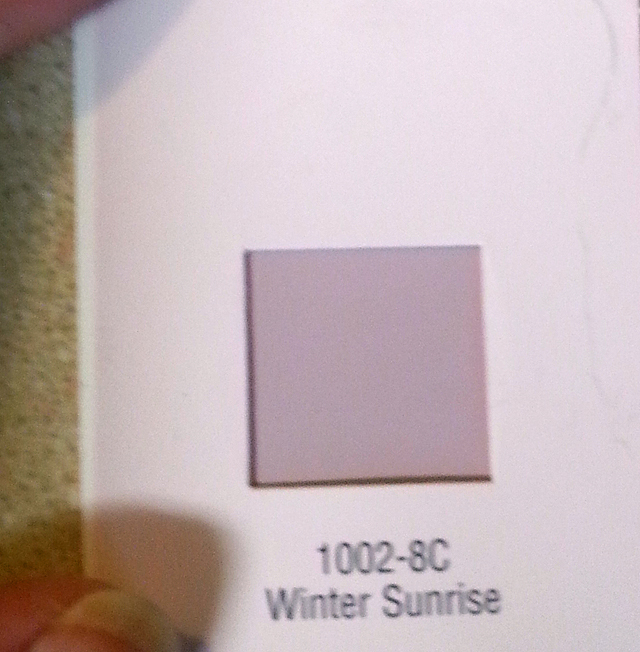 Why do these color swatch cards look so damned different in the store than they do in real world lighting? White is going to be absolute candy cane overkill, so we are going to go with black and chrome in addition to what white is already there. 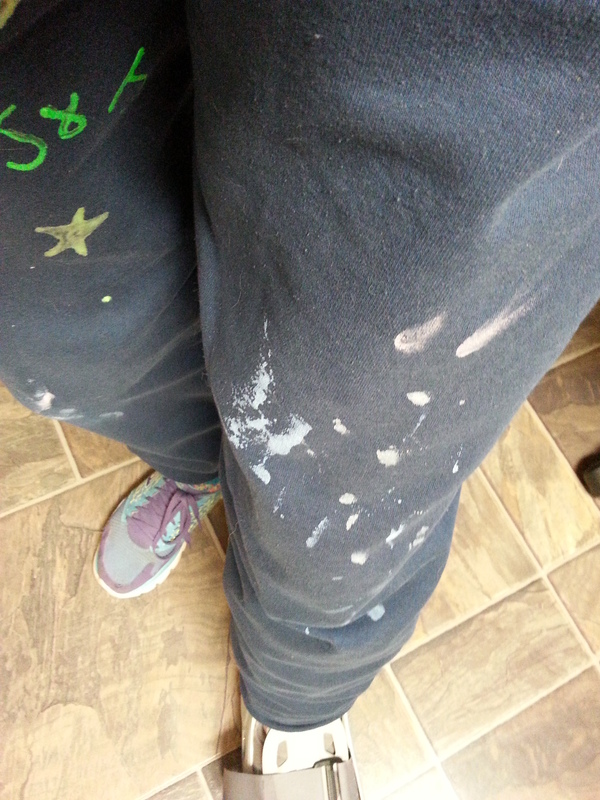 Pretty much every color I’ve ever painted in this house is on these sweats! I had dressed in my favorite grey warm up pants this morning, but didn’t want to wear them for painting, so I dug up my “regular” painting sweats. I’ve got paint stains on them from screaming blue boys’ room, rosy master bath, minty kids’ bath (which is also on the new color/overhaul list), and now weight room. I was impressed that they fit over The Boot. Well, after all of that, I guess it’s time for me to go back there and knock out the rest of the lighter color. I also need to see how the carpet is drying, since we had an unfortunate spill, as pictured above. After scrubbing the bulk of the paint out of the carpet, I threw down a towel to absorb the excess moisture. 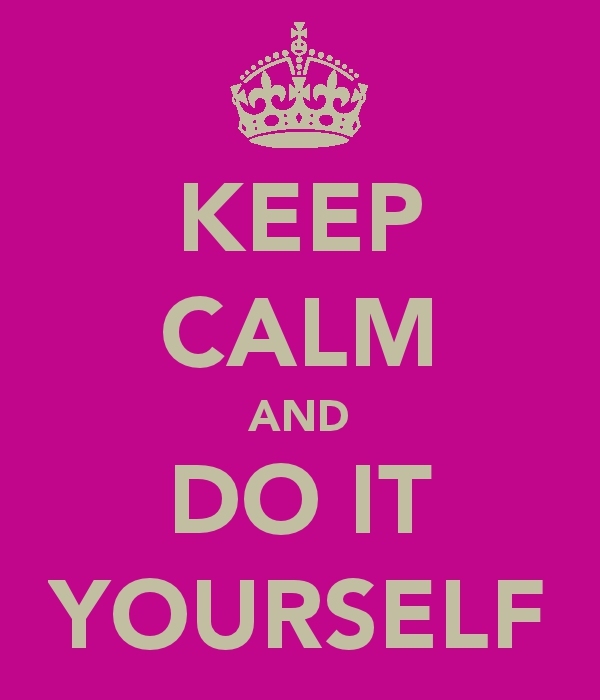 I used an old pink one for obvious reasons, ha ha…Lesson learned? Pink paint on tan old (thank goodness) carpet still makes light pink. Ugh! This entry was posted in DIY, Home Improvement and tagged DIY, home gym, Home Improvement, painting. Bookmark the permalink. My wife has the same pants in slightly different colors. Good for you! I thought I had an extra room once my kids all moved out, but then one came back in temporarily (saving up for a house). Now I have NO room again – stuff piled to the rafters because she had her own apartment and brought everything back with her. Aargh. My eldest and middle sons did that, too…which is why it’s taken a year and a half to clear out all the “stuff” so that we could do what we wanted to do with the spare rooms. 🙂 I feel ya!